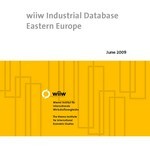 The database contains about 14,000 time series on industry in Central, East and Southeast Europe. The 13 countries currently covered are: Bulgaria, Croatia, the Czech Republic, Estonia, Hungary, Latvia, Lithuania, Poland, Romania, Russia, Slovakia, Slovenia and Ukraine. The data relate to the period 1989-2008 and are arranged according to NACE rev. 1 sections of industry and 14 subsections of manufacturing (C, D, E; DA, DB ... DN). For Croatia, Estonia, Hungary, Latvia, Lithuania, Poland, Romania and Slovenia we provide even more disaggregated data of manufacturing at the level of NACE rev. 1 divisions (15, 16 ... 37) comprising 23 industries which are identical to industries at the 2-digit level of the ISIC rev. 3 code. Information is presented by country, year and industry. 32 economic indicators are covered, focusing on production, employment, wages and trade. Sources: national statistical sources supplemented by wiiw interpolations, and international statistical sources. The zip files contain Excel sheets that can be used on any personal computer with MS Excel or another compatible software package.